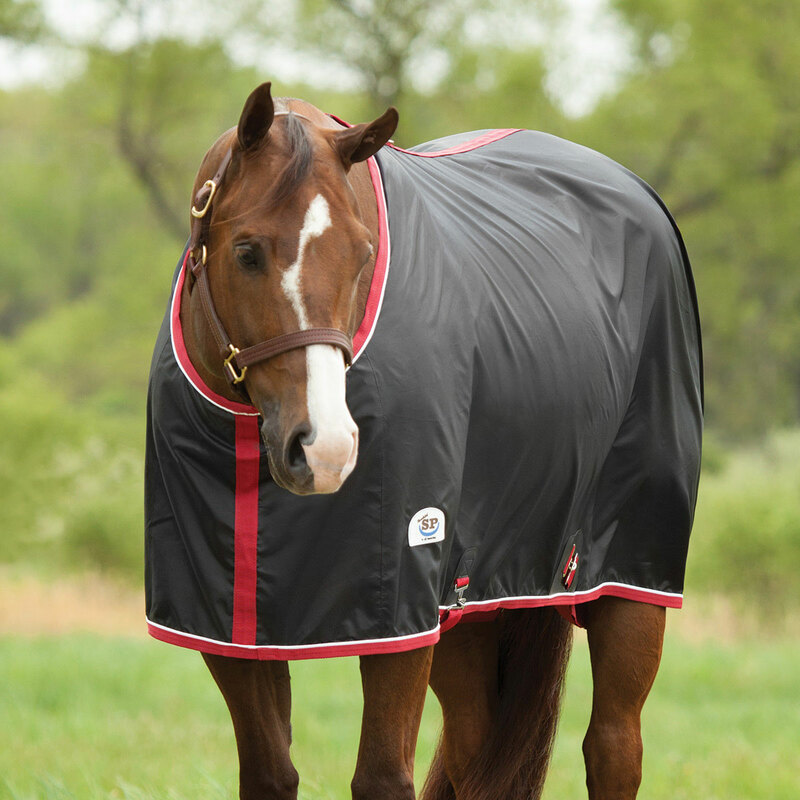 If you’re looking for a lightweight layer to keep your horse snug and clean in the barn, reach for the Rockin’ SP® Nylon Stable Sheet. 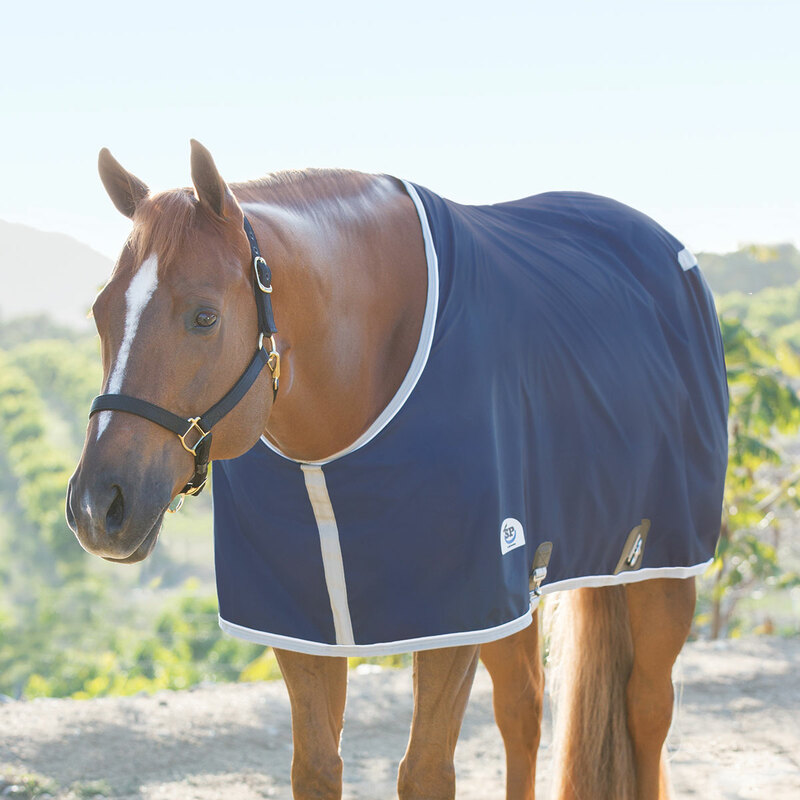 This sheet features a unique cut that is specially designed to provide an ideal fit for quarter horses and other stock breeds with a broader shoulder and hindquarters, a cutback wither, and a shorter drop. The smooth nylon material is lightweight, durable, and easy to keep clean. Additionally, an adjustable belly surcingle and leg straps ensure that this sheet stays right where you want it. Plus, you’ll love that the closed-front design makes taking this sheet on and off a breeze and provides a streamlined fit for layering under heavier blankets. Finally, the classic styling and contrast trim means your horse will look sharp at the barn or at shows. Don’t forget to add embroidery for a personal touch! 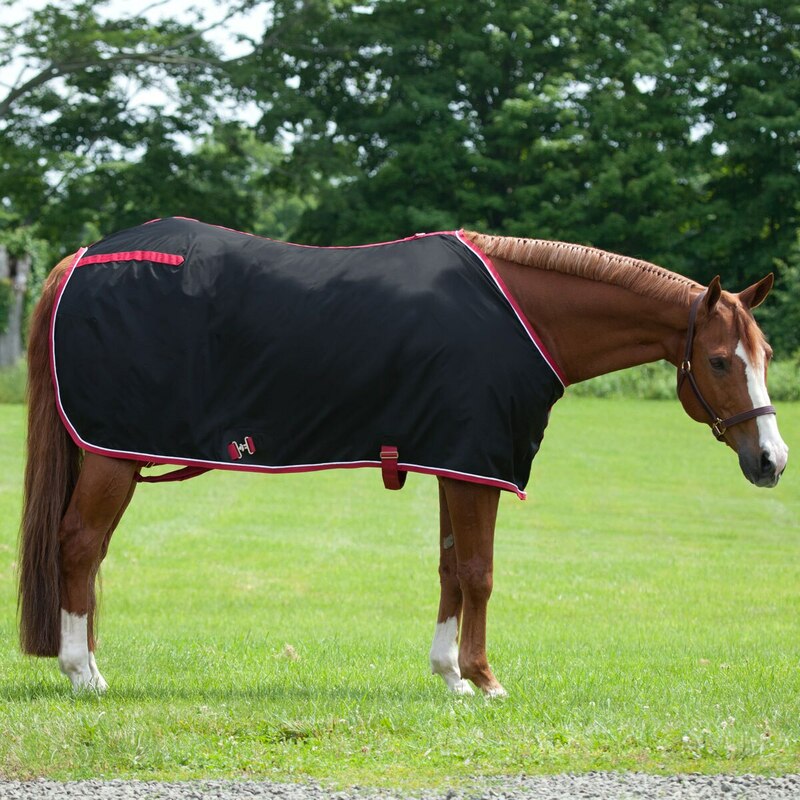 Rockin' SP® Nylon Stable Sheet - Closed Front is rated 4.3 out of 5 by 55. Rated 1 out of 5 by PJhorse from Poor quality and runs small Bought this for an appendix QH, but it seems to run small when compared to the Big D sheets, and on top of that, within a week the back leg strap ripped off. 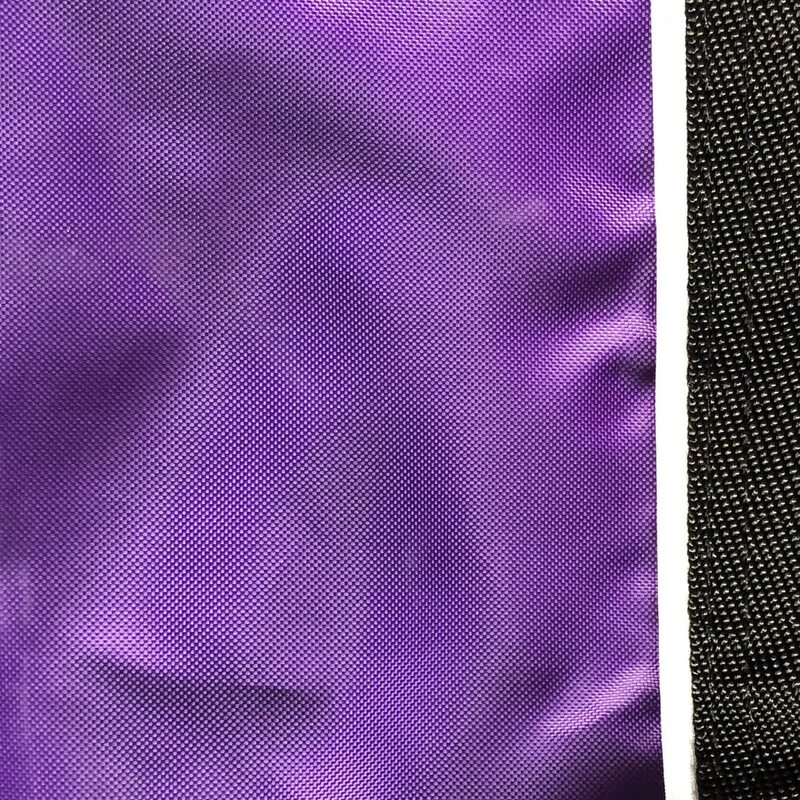 The nylon isn't as thick and durable feeling, and there's almost a weird plastic covering on the inside of it, though it seems to be wearing off. The trim is the woven fabric type similar to that used on the Schneider's sheets. So all in all, know that it runs small, it's thin nylon, and the leg straps rip off easily. Rated 1 out of 5 by lunasw from Way too Small Bought the same size sheets as my horses wear in the SP stable blankets; unfortunately the sheets are so tight and small fitting they are unuseable. Even the leg straps were too short, that's how tight/small they fit. Not one sheet but 4 sheets in 3 different sizes, all were way too small. Rated 2 out of 5 by levi95 from Not impressed with quality I bought this sheet about a year ago and really wanted to like smartpak's product. However I am not happy with the quality or fit. The closed front runs a bit small and I can't get the sheet to stay level on my horses. Rated 2 out of 5 by mlm47 from Not as durable as I hoped The sheet is very attractive, and I was pleased when I saw it. It is sold as a stable sheet. I used it also for turnout. Obviously, that was a mistake. Rated 5 out of 5 by Jak40006 from A great liner! I bought this blanket hoping that it would be a stable sheet. It wasn't as heavy as I'd hoped it to be, so I ended up buying the rockin sp quilted blanket. I'm really happy with this as a show/travel sheet/liner for my big chested QH though. It fits him really well and no rubs! Finally! Rated 4 out of 5 by Colleen41 from Great price Bought this as a sheet for shows haven't used it yet but it is great value for the price. I feel that they run small on the fit. Rated 1 out of 5 by NanKC from Poor quality. Didn't hold up. Bought two of these over a year ago. Fabric doesn't breathe & the undercoating has worn off, making it nearly see-thru in places. One sheet got ripped. These are stalled show horses, not rough housing or turned out. Very disappointing. Not up to usual Smartpak quality. Rated 5 out of 5 by JRoche from Should have bought one months ago! This sheet is beautiful and seems to be very well made. I have been buying all my horse clothing from Sstack for years because they seem to last forever. Get really rate it on durability yet as I have only used it for a few weeks. I hope it compares to Sstack. Much more stylish then their sheet too which I like a lot! Rated 1 out of 5 by Foxtrottinlinda from Nicely made Blanket I bought this blanket in al 78 and it runs small. The neck area of the blanket is way too small for horses with big front ends. I put it on my horse and it choked him. Sorry I had to return it.